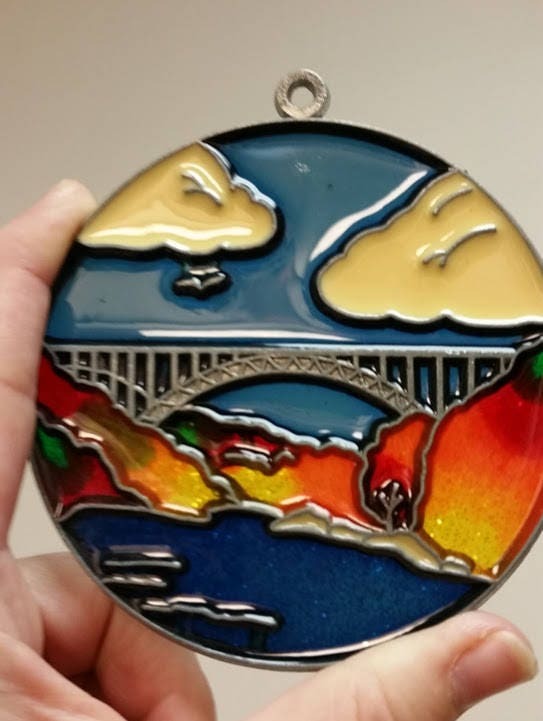 This beautiful suncatcher is of New River Gorge Bridge in West Virginia. 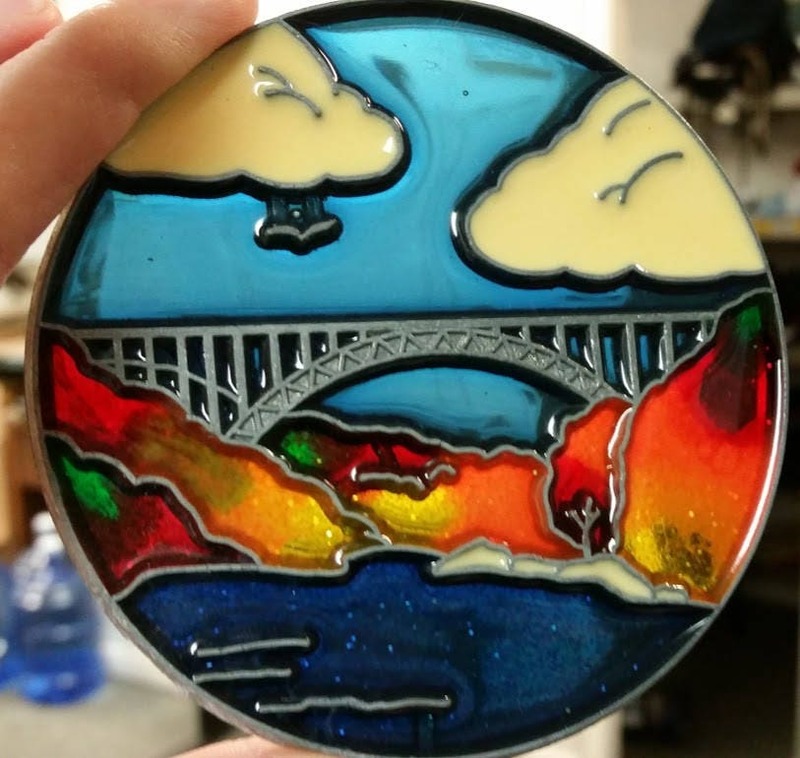 The suncatcher measures 3.5" diameter, The trees are done with fall colors to coincide with West Virginia's annual bridge day event. 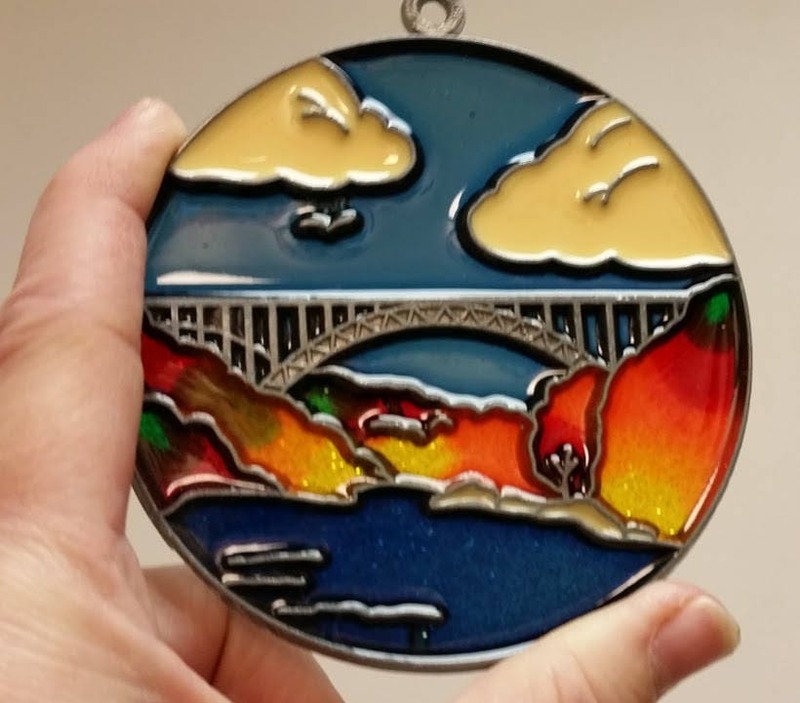 If you love suncatchers, West Virginia, or nature scenes, you will love this suncatcher.